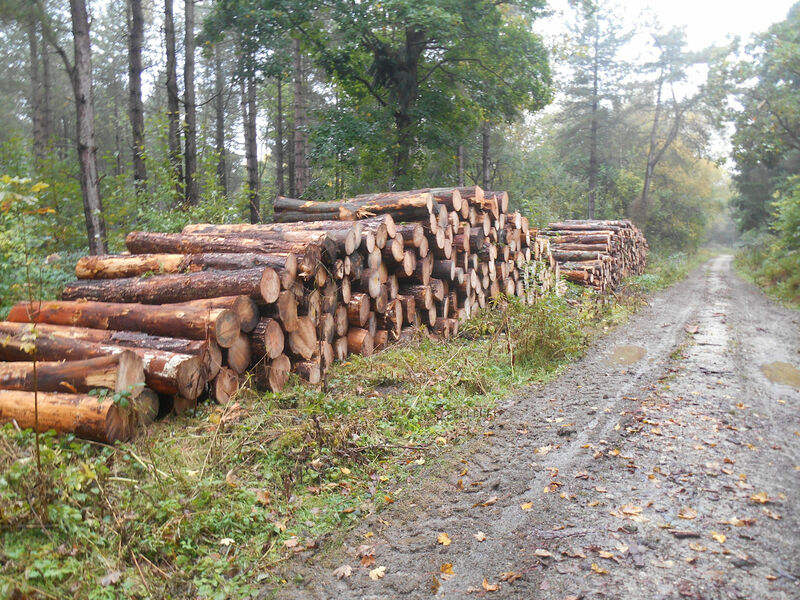 Over the last few days the Forestry Commission contractors have been felling the dead and windblown trees. 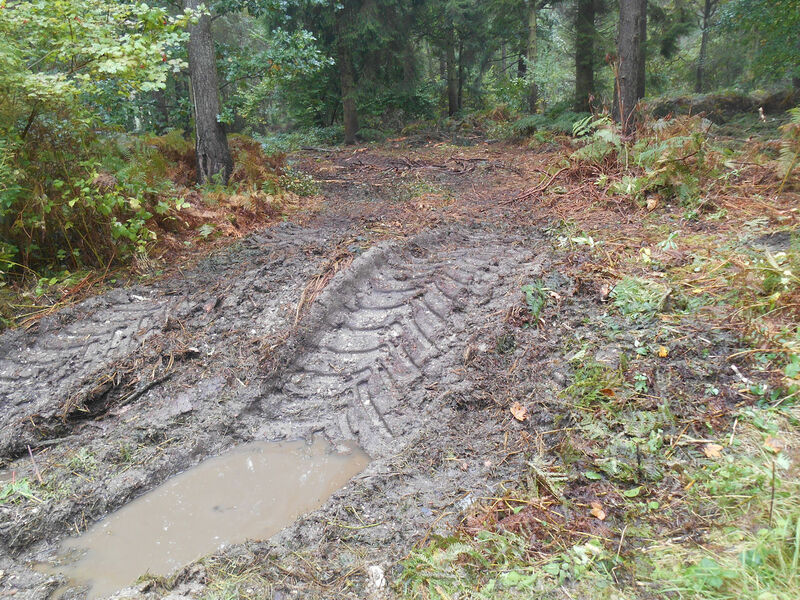 To allow their cutting machine to gain access to the trees it has been necessary to create new routes through the wood, avoiding where possible existing tracks. 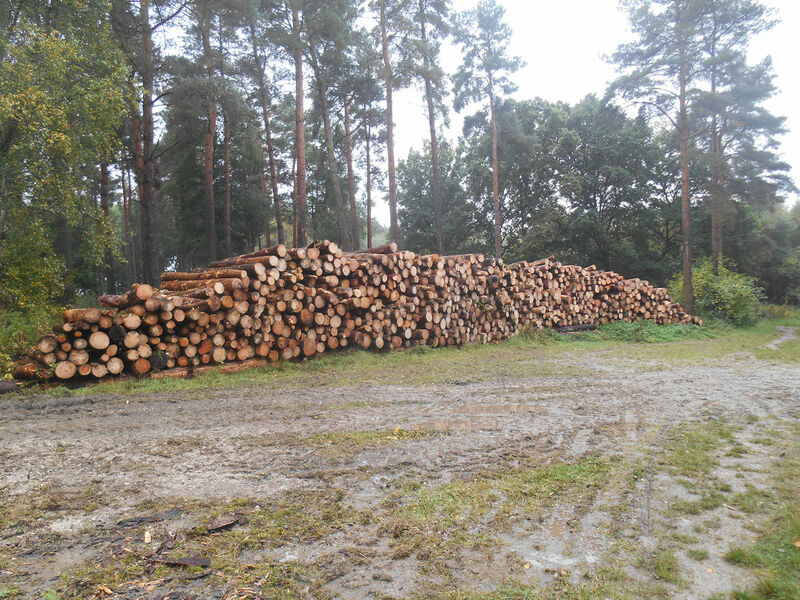 The cut logs have now been stacked awaiting removal from the wood.